With physical and chemical sun-block ingredients , enriched with tea tree oil and Salicylic Acid to strengthen sebum control, this sheer, fresh, high SPF sunscreen brings perfect protection for oily and acne skin against UV rays and visibly evens skin tone. 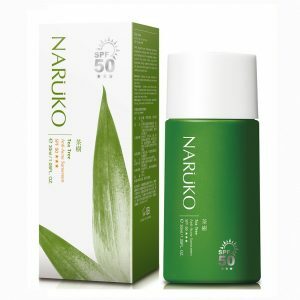 Benefits: Block UV rays, controls oil secretion, prevent blemishes, and evens skin tone. Direction: Shake well before use. Take a quarter-sized and apply evenly all over face after cleansing and basic skincare routine.